Stalls seating is located on the ground level (the same level as the Stage). 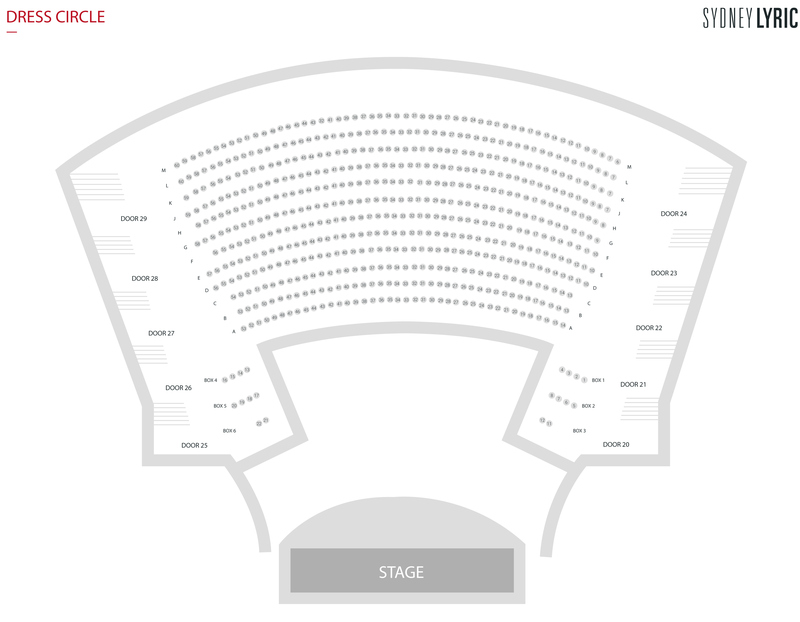 There is a gradual incline right to the back of the auditorium, patrons will be at eye level with the Stage at around Row F-G. The front of the Stalls offers a close-up experience. 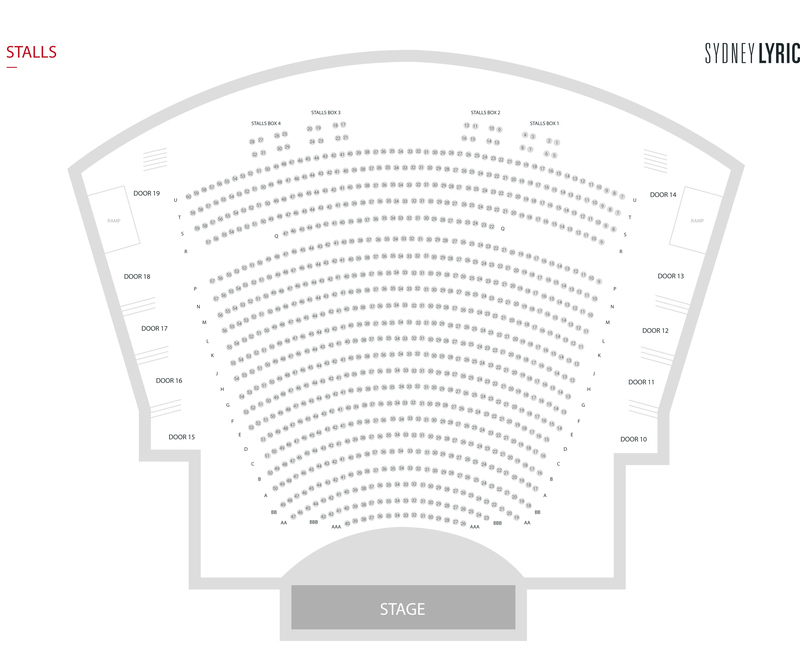 The front row often varies from show to show, please check our configuration by calling the theatre. Dress Circle seating is located 1 level above the stage. The front row of the Dress Circle comes in line with Row L in the Stalls. 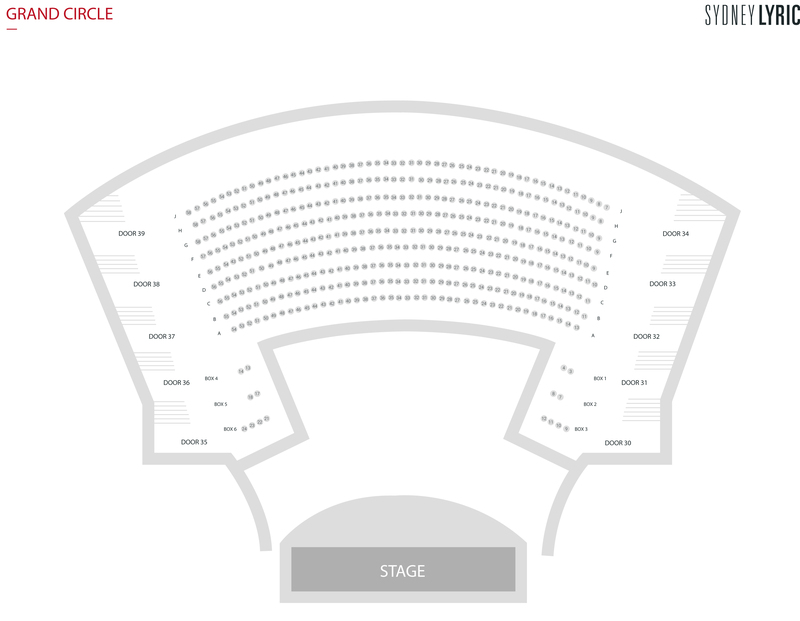 Grand Circle is our top level, located 2 levels above the stage. There is a safety rail installed in front of the front row that might interfere with the view for some patrons. The Grand Circle Box Seats have an obstructed view. Hearing Loop is available in Stalls seating only. Please note, only highlighted seats have hearing loop reception. Patrons should adjust their hearing aids to "T" for reception.